Training of youth leaders is an important step in enabling the individual Scout or Venturer and helping your troop or crew grow. 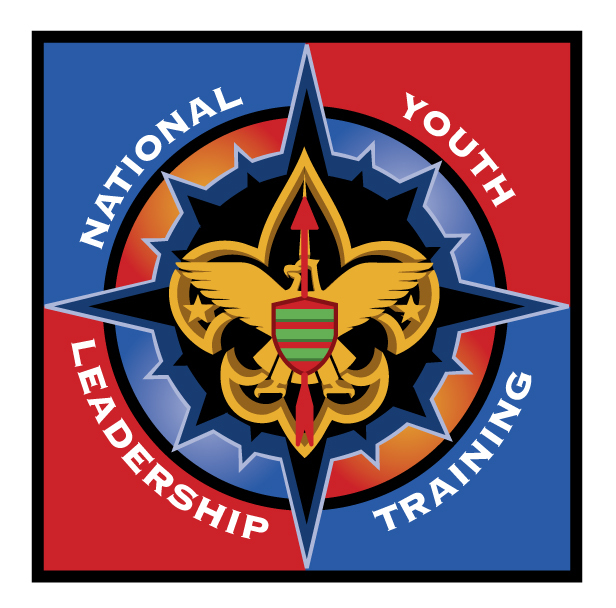 National Youth Leadership Training (NYLT) is the BSA's premiere youth training experience, which is now open to both Venturers and Scouts BSA, young men and young women, starting at age 13 (Venturers must have graduated 8th grade). If you need financial assistance, you cannot register here. Click this link to request forms to apply for campership. The purpose of NYLT is to provide a solid training foundation which will assist in training young leaders. The NYLT course operates as an ideal troop or crew using the patrol method and rotating leadership responsibility. NYLT is not designed to teach basic Scouting or Venturing skills, rather it strives to develop essential leadership strategies that will enable participants to help "keep their group together and get the job done right." What can I expect from NYLT? NYLT is an interactive, challenging and fun, emersive youth training experience. The highly refined course material builds on legacy successes and adds new strategies for developing leadership abilities through focused activities, games, presentations, challenges, and engaging discussions, and audio-visual support. NYLT participants will work and play together as they team up to become the new leaders of tomorrow. Who are the NYLT Staff? NYLT is a youth-taught course with adult leadership supervision. The youth staff consists of a course leader, assistant course leader(s), and team guides. The adult staff consists of a course director, assistant course directors, and quartermasters. The NYLT syllabus is written and approved the National Boy Scout Council. Our Code of Conduct is the Scout Oath, Law, and Venturing Oath. Participants agree to conduct themselves in accordance with these ideals. It is strongly suggested that each participant be, or will soon be a unit youth leader, such as SPL, ASPL, PL, crew President or VP. Obtain Scoutmaster’s/Advisor's recommendation and parents’ approval on the Participant Code of Conduct form. Provide Dietary Needs Form--must be received no later than June 9, 2019. The fee includes all materials, food, and program for the week-long course. It is suggested that units and their charter organizations consider contributing all or part of this fee. It’s easy! Ask your unit leader; he or she should have all the info about NYLT. You will need to apply online here, download the appropriate forms, and fill them all out. Then, submit them with all the required signatures and support forms to the Marin Council service center in person, via email, or by FAX. During the registration process, you will be required to download a packet of forms. These forms must be received by June 9, 2019, in order for your Scout/Venturer to be considered fully registered and approved. These include medical forms and signature of Scoutmaster/Advisor on the Code of Conduct page. If these forms are not received, your participant will be removed from attendees, and his or her position will be given to the next person on the waiting list. Your funds will be refunded to you. Click this link to request forms.